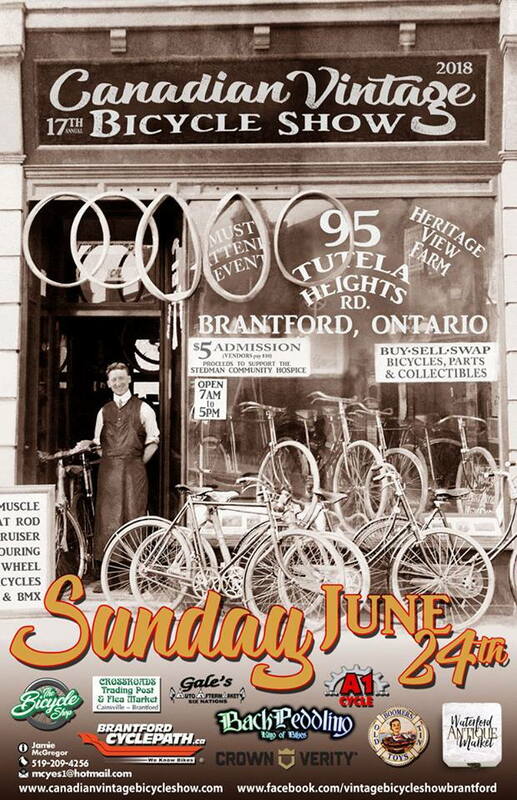 Don't forget to attend the Canadian Vintage Bicycle Show happening in Brantford Ontario on 24 June 2018. Check out the FB page as well. Hope to see you there! Thanks! Have you attended in the past? What do they consider vintage? Looks like it's been postponed till July 8th.